Best Competition Total: 2,803 LBS. 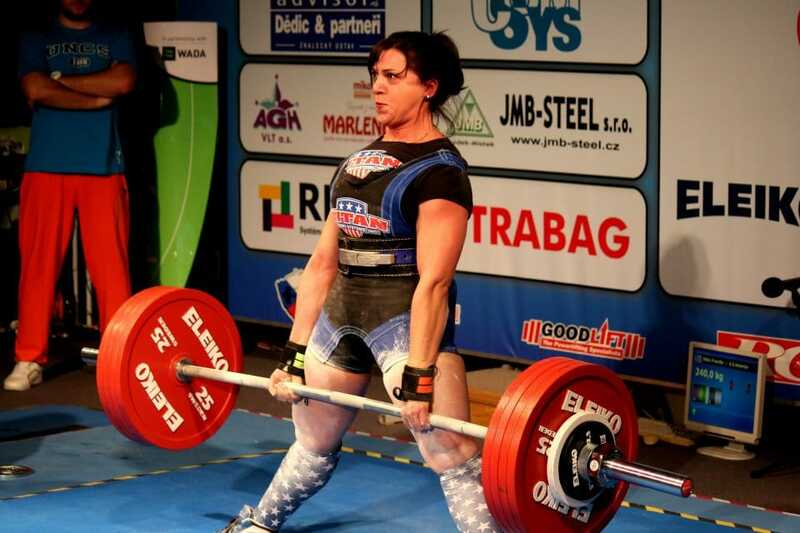 Favorite moment as a Powerlifter: Winning my first World Championship in 2013. Base Gym: Southside Strength and Fitness by way of The Olympic Gym and Team Bell Power Systems. Training Methods: I utilize the training system used by Titan Champion Jona Leo for my bench press. Jona has helped guide me and coach me since 2013. 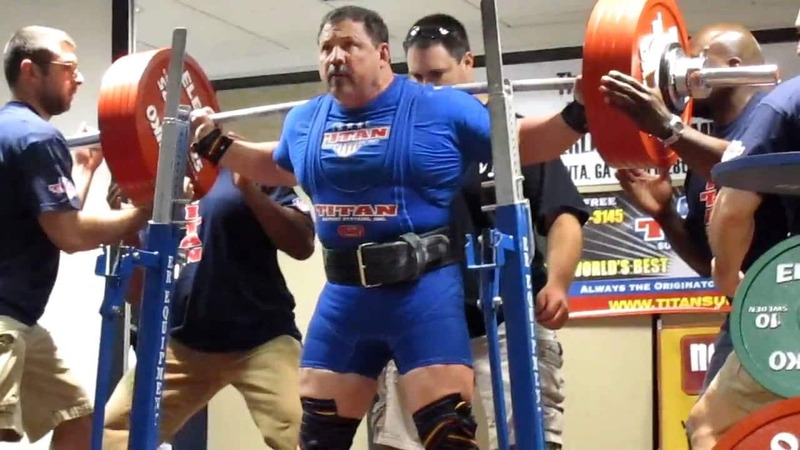 For the squat and deadlift I utilize the methods of Titan Legend Gene Bell. 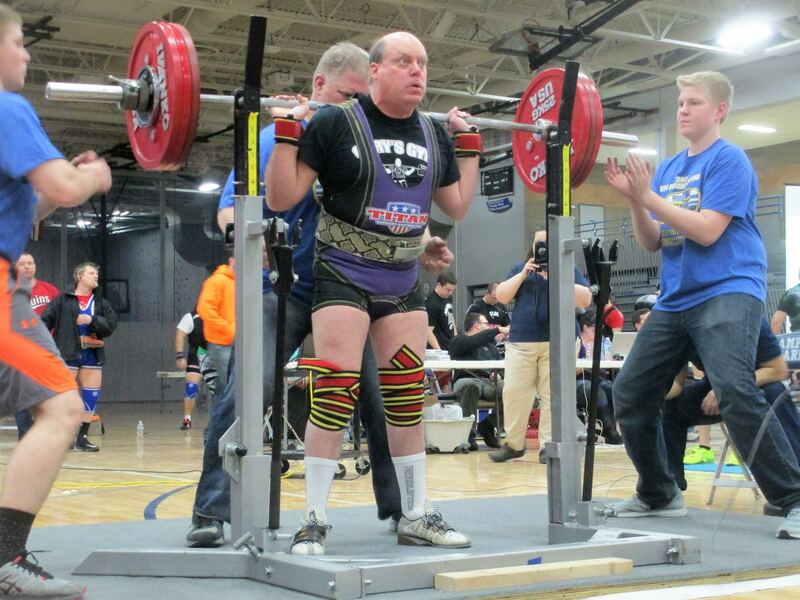 Gene was the man to really get me into powerlifting and taught me how to work hard and train smart. I still use his methods today. 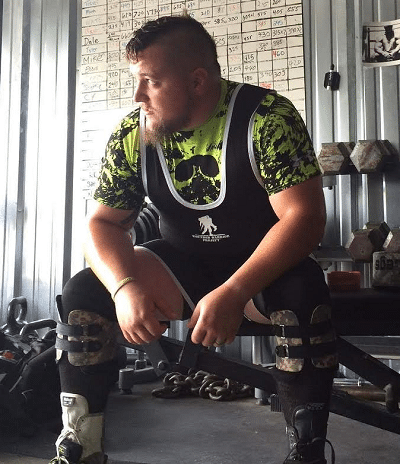 Favorite Powerlifter: Brad Gillingham. Big Brad has always been a role model for me and is a true legend of strength sports. He is a class act on the platform and off, and I feel that his career and the way he conducts himself has an ambassador and athlete should be what everyone should strives to be like. Favorite Food: All of it. No, but really, as a Super Heavyweight I consider myself an authority on good food and drink. There is nothing I enjoy more than a great bacon cheeseburger, a close 2nd is pizza. But truly, my favorite food is any meal I get to enjoy with my Team Titan brothers Jeff Snyder, Brady Stewart, Jona Leo, or Ian Bell and Gene Bell and Titan CEO Pete Alaniz and of course, Isiah. It is these moments that make a meal special and make any food my favorite food in that moment. 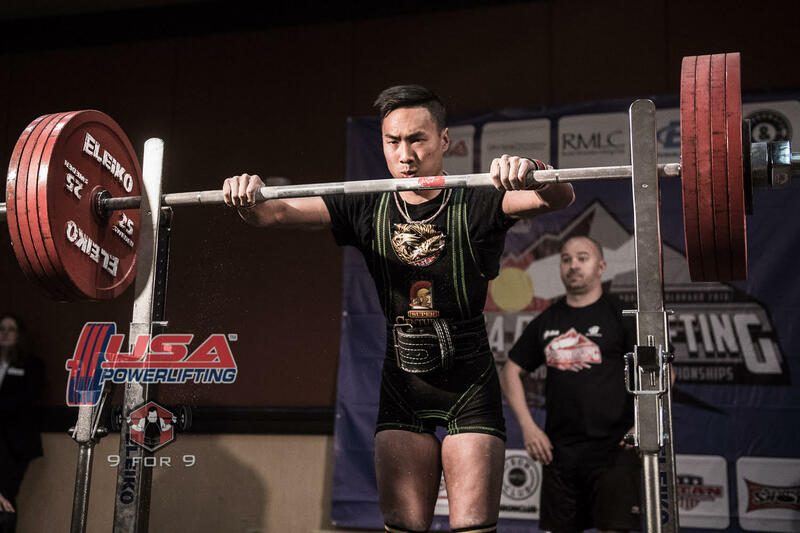 Favorite moment as a Powerlifter: My favorite moment is a tie. 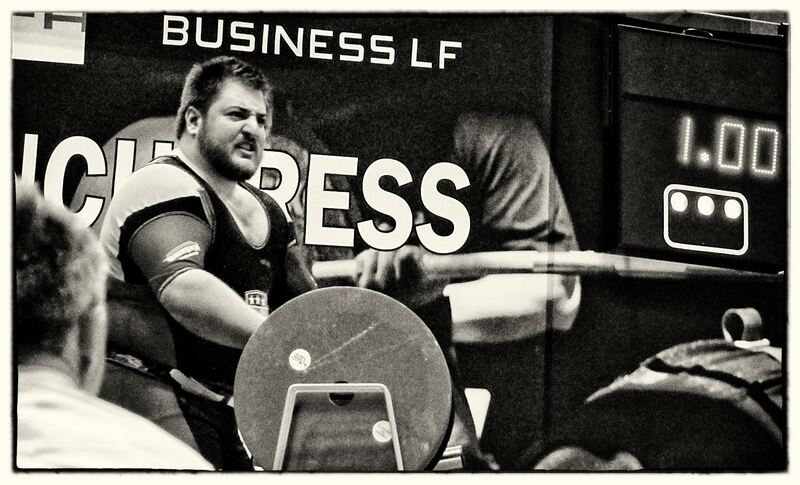 When I won the 2013 Collegiate National Championship on the final deadlift under immense pressure, I was on cloud 9. 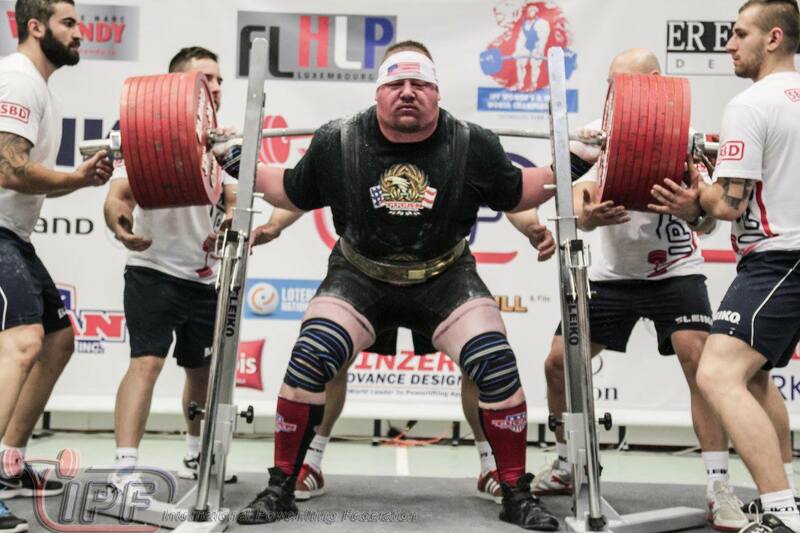 This is the quintessential powerlifting experience. With everything resting on the final attempt, and coming out triumphant, there is no greater feeling. The other moment happened just 4 weeks after this. I won my IPF Junior World Championship in a similar fashion. On my 3rd attempt I locked out the winning bench press and left a World Champion. These moments have stuck with me since and they always make me happy when I think about them. Training Methods: I train 4 times a week. The first day is raw bench day, the second day is competition deadlifts, the third day is competition bench day, and the final training day of the week is competition squats. Each training day has its own specific auxiliary exercises based on the main lift for that day or the main group of muscles being trained on that day. I use a basic linear periodization style of training with subtle variations. I only train squats and deadlifts once a week, which is in today’s world not the norm. It is a bit of an old school style of training, but it works for me and for the people that I have coached and trained. I train raw usually about 8 months out of the year unless I do more than 2 meets. For those 2 meets(nationals and worlds) I train with gear for 8 weeks leading up to the competition. 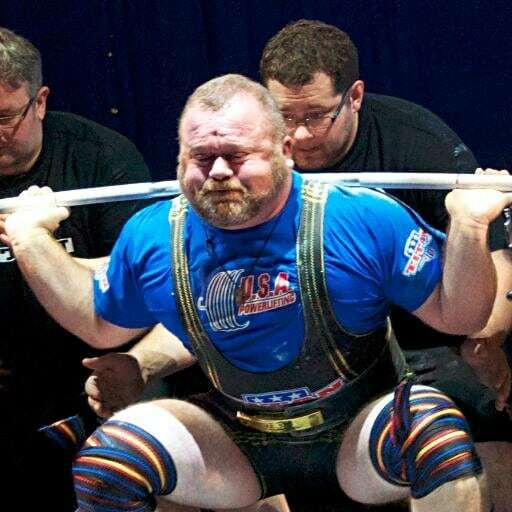 Favorite Powerlifter: Jeff Douglas and Wade Hooper. Could not choose between the two. Both have helped me throughout my career and I would not be where I am today without either of them. Favorite moment as a Powerlifter: While in high school I was the runner up to the State Champion for 3 straight years, until finally winning it all and breaking the all time records my senior year. I was then voted by coaches and media writers throughout the state as the Best Powerlifter in the State of Mississippi at the annual Sports Awards Banquet. All of the sports in the State of Mississippi give out the Pop Star Award for each sport for the best athlete in every sport, both male and female. It was such an honor, after the last 3 years of falling short of winning the state title. It is still my favorite trophy I have ever received in my career. Training Methods: I have a strange training method that most people say it makes no since, it works for me. I do the standard bench press movement, however I bench three time a week for example; Monday only do 37%-42% of a projected max foe a total of 80 reps this includes warmup, Then I do 450 reps of upper body stuff divided by 6-8 different movements (light). Wed do 63%-74% (using a Bench block and Ram) of a project max for a total of 50 reps with warmups, Tri and Bi work out only. Friday, the is my heavy day, I will never do 100% in the gym. I do 80%-93% and done nothing else. Squat only once every 7 days each week jumping a percentage each week until I get to 93% and go from single to double or whatever up to 7-10 before a meet, I do not do any other leg work on a squat day. Deadlift is somewhat like my squat workout, but I add in landmine squats and Hi-bar squats. I do 30-45 min of cardio before every work out, and core work after every work out. I never do the same work out two years in a roll. 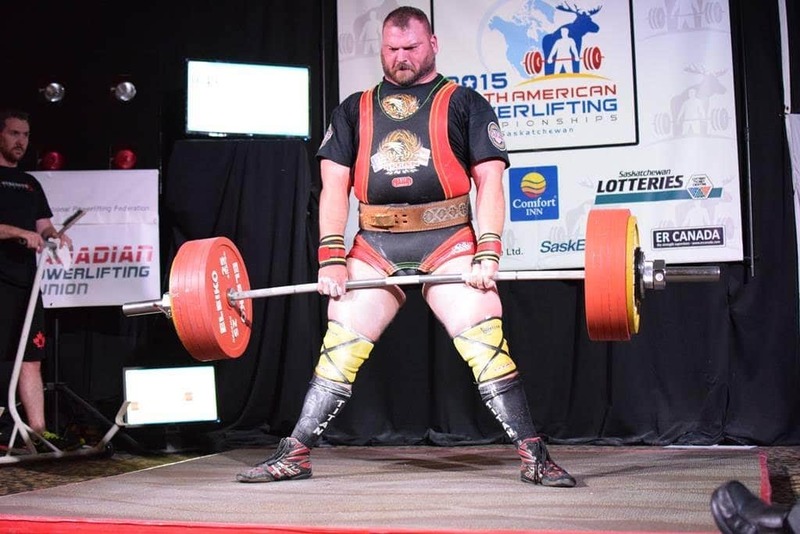 Favorite Powerlifter: Wow, this is hard, I have been in Powerlifting as a lifter for 35 years and have been blessed to be around/learn for some of the best in the sport, I can’t name just one. 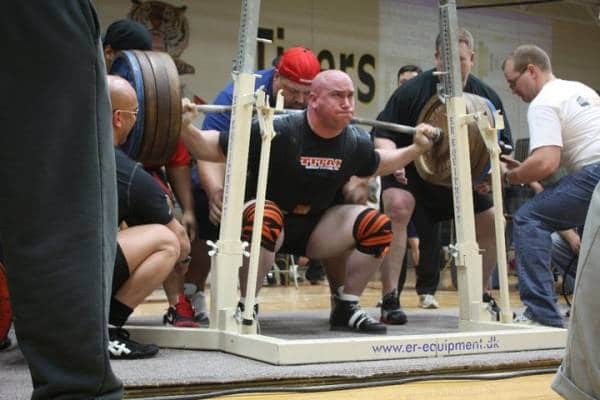 Favorite moment as a Powerlifter: Every meet I competed in and the lifters I’m around is a special moment for me. 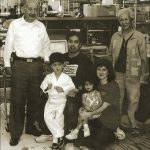 But if I had to pick it would my first meet 1980, I finish last in my weight class at 162 lbs., But was hooked on the sport of powerlifting and now a World Champion. 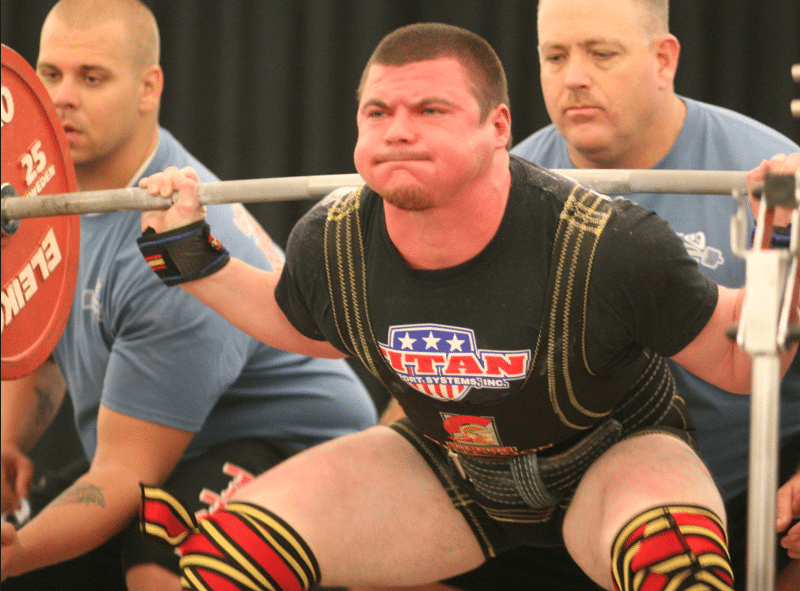 Favorite moment as a Powerlifter: Probably a tie between getting 2nd overall (silver) at the 2010 IPF Open Worlds or representing the USA at the 2013 World Games as one of only two male lifters. 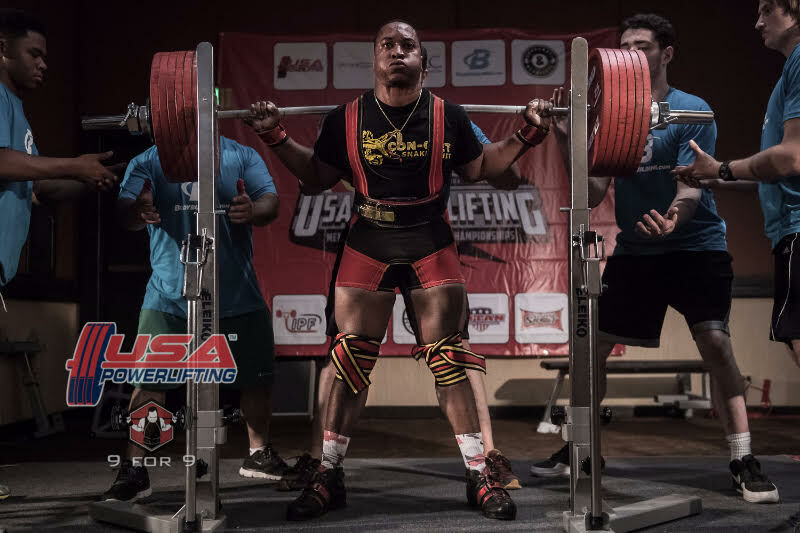 Favorite Powerlifter: Ervin Gainer. He is the man and he handed the torch to me. 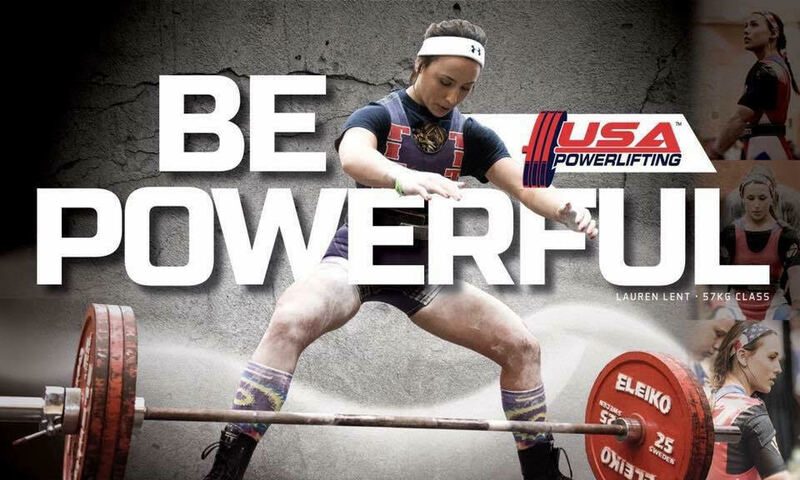 Favorite moment as a Powerlifter: Winning my sixth USAPL Open Nationals. It was my fourth in a row. There was a lot of stuff that got in the way but I stayed consistent and it paid off. 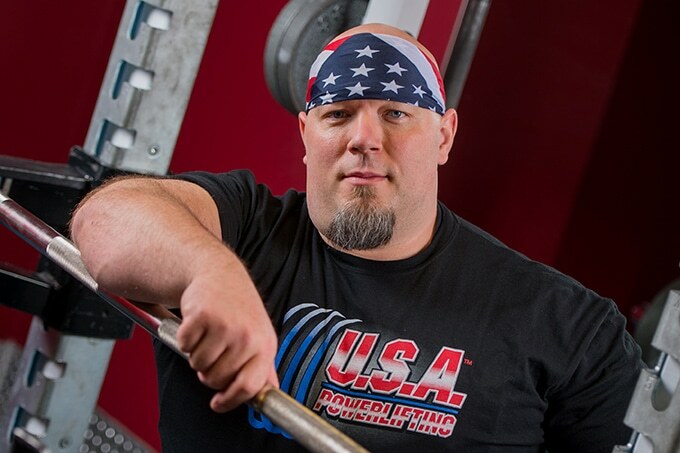 Training Methods: Early on I trained with Mike Tuchscherer’s Reactive Training System and had much success in raw powerlifting shortly becoming the USAPL OPEN RAW Squat, Bench, and Total American Record Holder AT 110kg/242lbs.. Now I do my own forms of auto regulation mixed with a linear approach for competition. My off season protocols require me to do as much or more volume than most full power lifters do and I’m just bench pressing. In the off season I am typically bench pressing 5-6 days a week for high volume. It is brutal but it conditions me like nothing else. It isn’t uncommon for me to accumulate 130,000 lbs of volume per week in this phase. Roughly a half million pounds of volume in a months time. 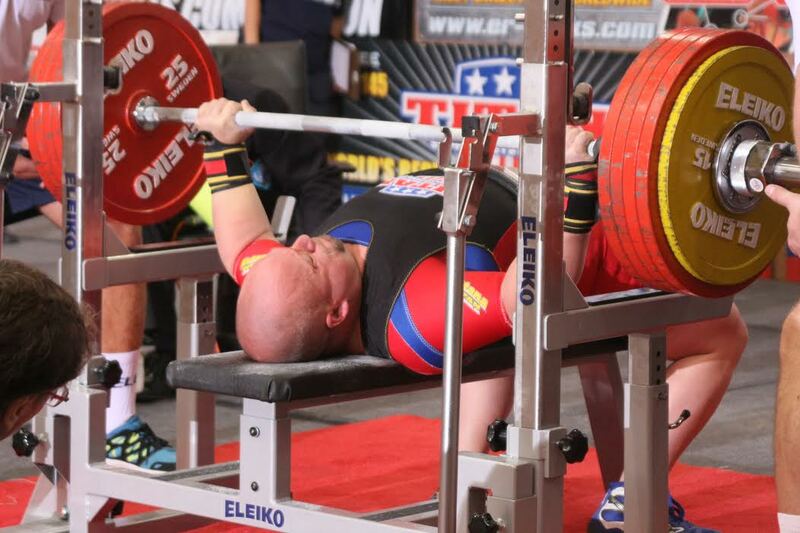 Favorite Powerlifter: It would be a bench presser by the name of Dave Doan. Dave is a good friend, great mentor, legendary bench presser, family man, and man of God. He has been a great inspiration to me and has encouraged me like no other to take this as far as I can. 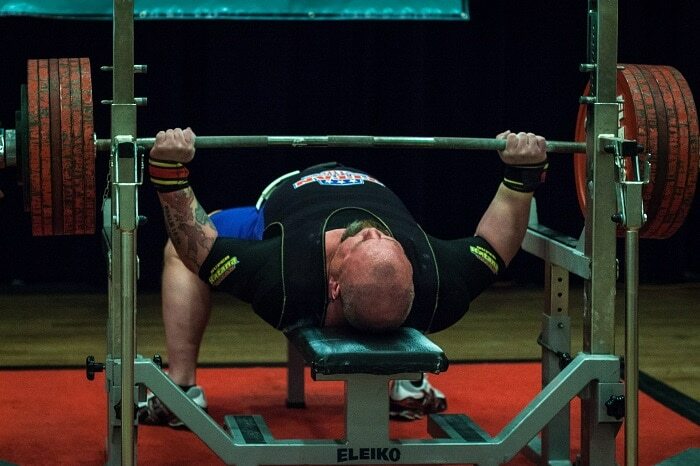 Favorite moment as a Powerlifter: My most memorable moment was earning an IPF OPEN World Bench Press Championship SILVER MEDAL in 2016 Rödby Denmark. Favorite Food: Pizza and wings! 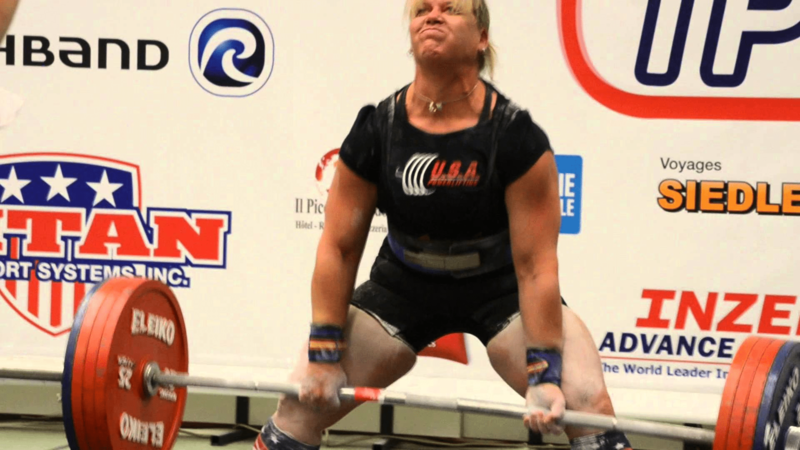 Favorite Powerlifter: Jenn Maile – She was light-years ahead in her performance for that period of time in female powerlifting. Bettina Altizer, a legend from the get-go. 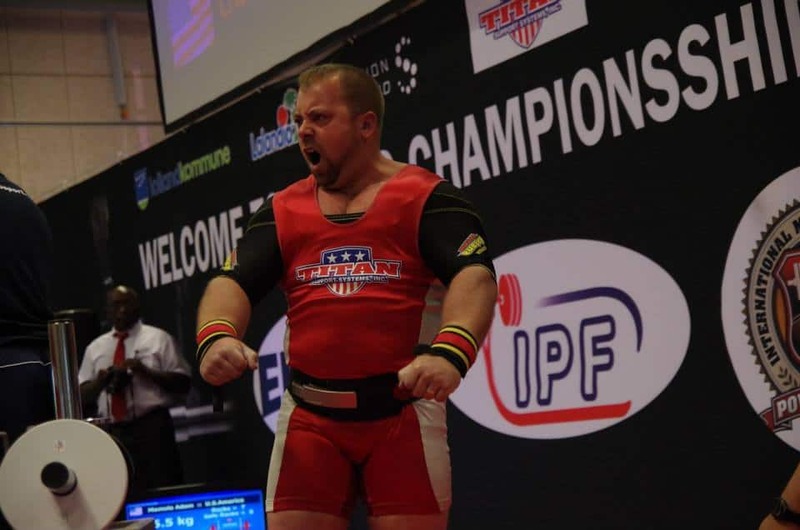 Favorite moment as a Powerlifter: Winning my first Open IPF Worlds in 2004 and being part of the Opening and Closing ceremonies at the World Games. Favorite Quote: “A Strong Mind can Override A Weak Body”. Currently I am Retired from the U.S. Army and have been since 2009. I sustained a brain injury while deploying to Iraq with the US Army in 2006. This affected my motor skills, speech, memory, nearly every part of my body. I spent 4+ yrs in physical therapy and 3+ yrs in speech and occupational therapy. I currently have leg braces on both legs and walk with a cane, I was medically retired from the Army in 2009 at 24 yrs old. For me competing itself is a huge blessing from having to learn how to walk and talk again, and now being able to compete it show people that you can do anything. Getting in the gym keeps me sane and centered, having to deal with all the bull and issues my life tosses at me every day can be overwhelming, but the gym is a place I can go and get it all out. It’s all about the mindset, if you have issues that hold you back, whether physical, mental, disabilities or in my case all 3, setting you mind on a goal and pushing yourself as far as you can go, it’s amazing what you can achieve.